It is essential for every person to own a health insurance plan that provide coverage on medical costs, hospitalization, treatment expenses and associated tests as well. Everyone should prepare themselves to manage any unwanted health situations in life. 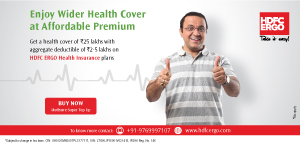 There are many different types of health insurance that depend upon the requirement of a person. You should buy a good health insurance cover which will cover medical costs, hospitalization expenses, treatment and laboratory cost as well. Individual Health policy: It is designed to cover a person against different types of diseases with cashless facility and many add on benefits. Family Floater insurance: Under this plan you can get the required health coverage for the whole family under a single insurance plan. It offers a fixed sum assured which can be used by any member of the family for treatment. 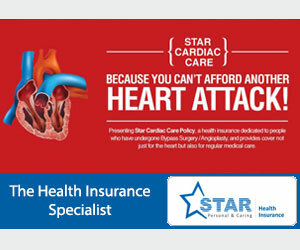 Critical Illness Policy: It is a standalone policy which a person buys to get coverage against serious illnesses like- kidney failure, cancer, heart attack, paralysis etc. a person requires this cover because the treatment of such types of disease are very high. 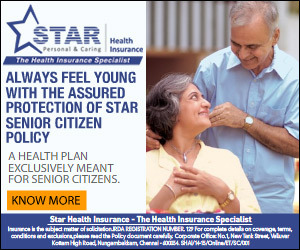 Senior Citizen Health Plan: This is specially designed to provide coverage to the senior citizen. 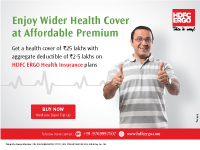 Top Up Health Cover: This plan provides additional cover to the existing health insurance plan. This plan will help you once your deductible amount is worn out and you are unable to pay the rest of treatment expenses. A complete health plan provides many features. Let us understand them in detail. Cashless Facility: Almost all insurers provide this facility to their customers with the help of network hospitals. If a policyholder gets admitted in any hospital that comes under network, then he/she don’t need to pay anything for treatment. You just need to provide your policy number and then the rest of the things will be handled by insurance company and the hospital. Pre and Post Hospitalization:This is one of the most helpful features, under this a person will get coverage on hospitalization charges 30 to 60 days prior and after the hospitalization. No Claim Bonus:It is the benefit that the policyholder will get every year if he/she does not claim for any treatment in the prior year. Tax Benefits: Customers will be liable to take advantage of tax benefits that usually maximum insurance companies provide. Co-Payment: This feature allows you to lower the premium amount. What exactly you should check while comparing quotes? The deductibles are another factor that you must check. Higher the deductibles, more will be the savings. Elevated deductibles save you more funds as you pay more only when you file a claim. 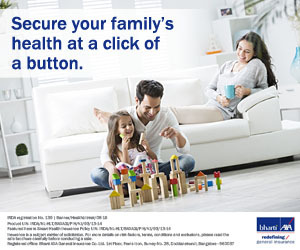 Some Extra benefits like discounts also play a vital role in choosing the best insurance policy. For e.g., some car insurance plans provide free repairing service wherever your car breaks down through the 24-hour helpline service. Such type of service is really very helpful. If possible, avoid discussing plans with agents as they may not be able to provide you with an unbiased suggestion. Also, it is really tough to think neutrally when an agent is forcing you towards buying a particular insurance product. More insurance agents you meet, the higher will be your confusion. You must compare insurance quotes through a quote comparison service. There are many good websites available and you can take help from them. 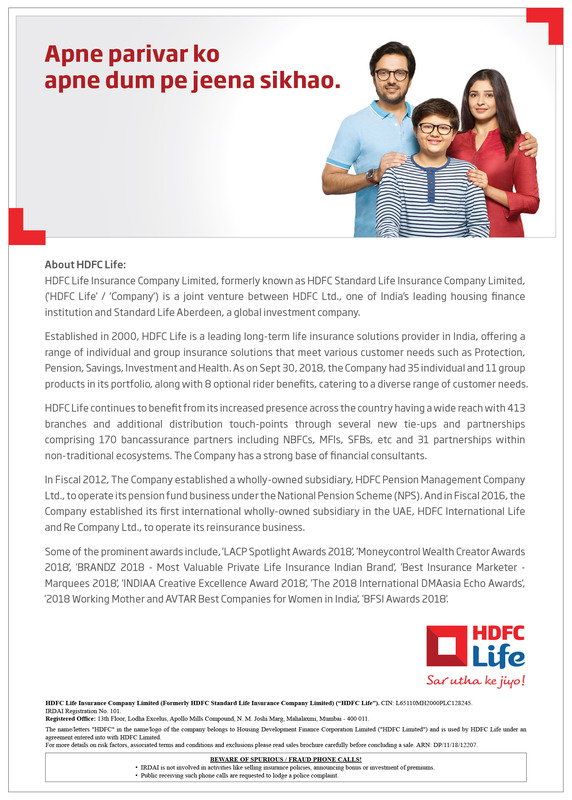 You will get complete knowledge about the desired insurance policy. The biggest advantage of the same is that you can get free quotes in a few minutes. Buying an insurance plan online is the easiest way to save money and time.